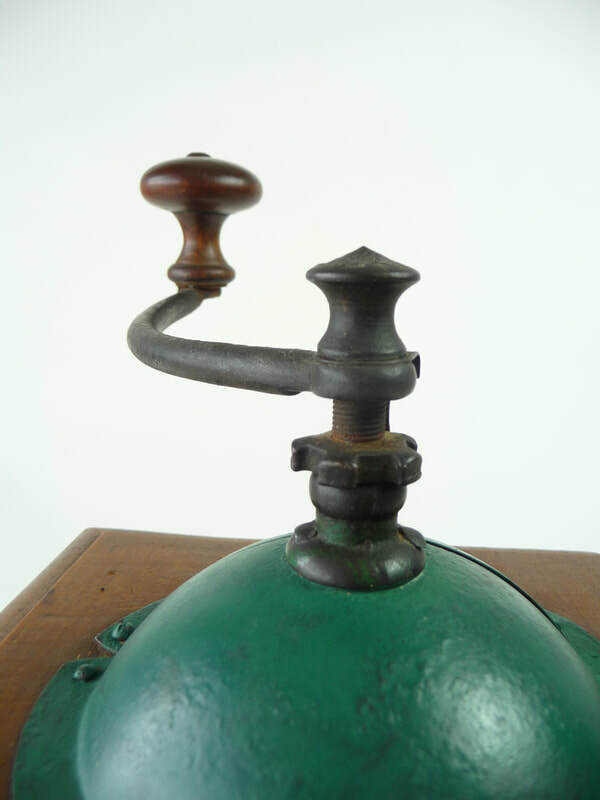 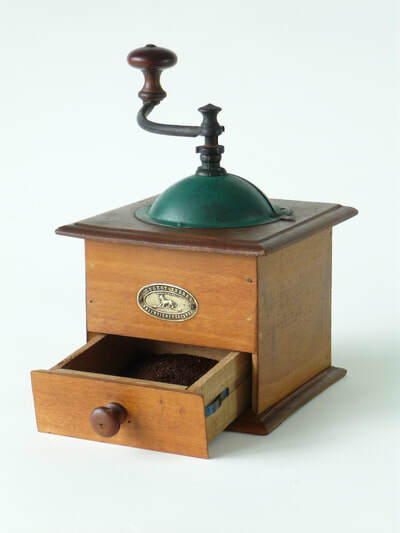 An early example of an authentic French coffee grinder. Made by the famous Peugeot Freres, this was found at a brocante in Provence. It is in very good condition for its age and perfectly grinds coffee beans to an excellent fine powder. 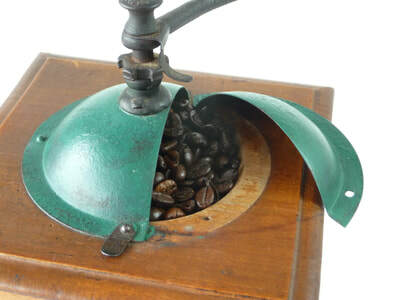 Peugeot were making coffee grinders long before they started producing cars. 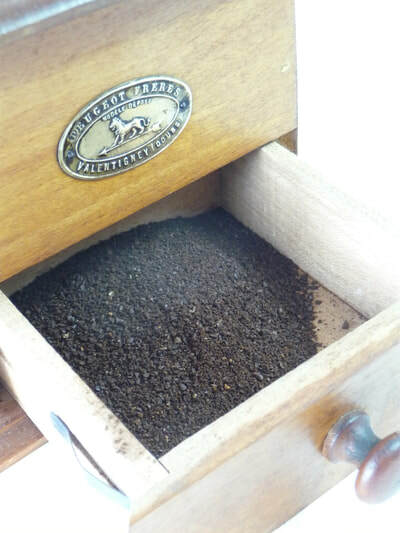 Their grinders have become collector’s items. 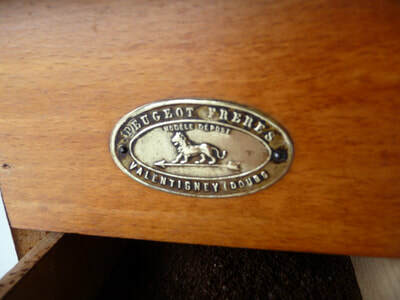 When they ended production in 1970 they published a catalogue which tells us that this is a size No2 made between 1879 and 1915 and manufactured at their factory at Valentigney near Paris. 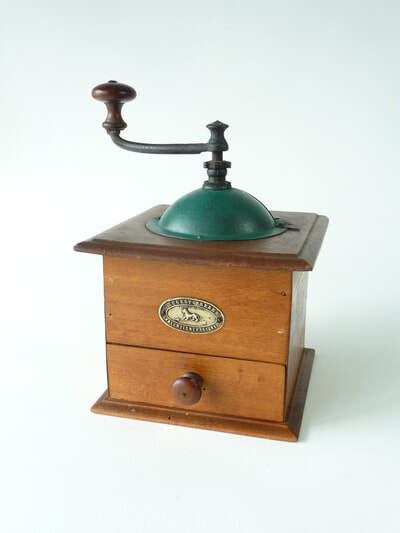 Made of wood, it has a painted metal top and the original sought after brass label. It is in full working order having been recently repaired and cleaned.